Creepshow is coming back but this time, it's coming straight to your living room. 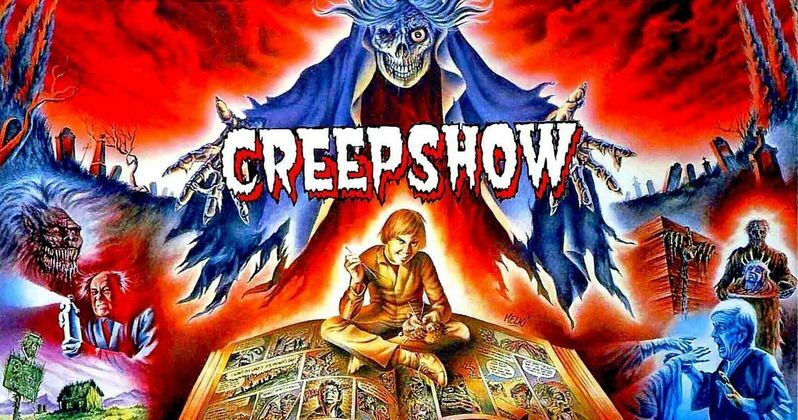 Horror fans should be delighted to hear that that Greg Nicotero, one of the chief creative forces behind AMC's The Walking Dead and one of the best in the business when it comes to special effects, is turning Creepshow into an anthology series for the small screen. Shudder, the horror-themed streaming service owned by AMC, has given the green light to the new series. Nicotero is on board to direct, executive-produce and keep an eye on the overall creative elements of the show. "Creepshow is one of the most beloved and iconic horror anthologies from two masters of the genre, George A. Romero and Stephen King. We're thrilled to continue their legacy with another master of horror, Greg Nicotero, as we bring a new Creepshow TV series exclusively to Shudder members." Greg Nicotero seems like the perfect choice to bring Creepshow back from the dead. He worked on the original movie and actually met the legendary Tom Savini on the set, who would go on to become his effects mentor. Each episode of the new anthology series will feature original stories with different directors. Nicotero is directing the first episode, with his company, KNB EFX Group, on board to handle the effects for the series. Nicotero had this to say about his new gig in a statement. "Creepshow is a project very close to my heart! It is one of those titles that embraces the true spirit of horror... thrills and chills celebrated in one of its truest art forms, the comic book come to life! I'm honored to continue the tradition in the 'spirit' which it was created." Shudder is a subscription-based streaming service, similar to Netflix, that deals specifically in horror. This new series should be a huge get for them and could help attract a lot of horror fans to the service. Not only that, but the Tales From the Crypt reboot that was in the works with M. Night Shyamalan has been indefinitely shelved. So those who have been looking forward to their weekly horror anthology fix have had their prayers answered. The first Creepshow spawned two sequels, 1987's Creepshow 2 and 2006's Creepshow 3. The new series is set to debut on Shudder sometime in 2019, though, no exact release date has been announced just yet. The show is being produced for the streaming service by The Cartel, Monster Agency Productions, Taurus Entertainment and Striker Entertainment. We'll be sure to keep you up to date as more details on the project are made available. This news comes to us courtesy of Entertainment Weekly.